Hab. 2:2, 3 “Write the revelation and make it plain on tablets so that a herald may run with it. We have never officially written down our vision, so prompted by the Holy Spirit, we are communicating this to all our family, friends, and partners so our purpose will be clear to everyone and to the world- for an appointed time-- the release date of 9-11-15 is very significant with God’s calendar of events and Ps. 91:1-16—declaring this passage of scripture over our nation! Several years ago the Lord gave me (Dave) a picture (vision), while in a season of deep intercessory prayer, of the Western Hemisphere with a huge cross laying over it. It began at the east coast of the USA near the Virginias and spread out over the country all the way to the west coast of California, then the top of it reached up into Canada while the bottom extended down to the lower tip of South America. Along with this picture the number 36 was given. A tidal wave of God’s Spirit and power would sweep all across this nation and beyond its borders in this manner destroying enemy strongholds and leaving the glory of God in its wake. The Lord was giving us a shadow of things to come for us. There were also strategic epicenters of earthquakes occurring in some of the cities all across the USA. Tsunamis are generated by underwater earthquakes! These were cities shaken with the power of God and coming under a move of the Holy Spirit that would bring a transformation of what that city looked like! All that was not God would be shaken and destroyed with recurring shock waves going out into the surrounding regions! Many people would be affected by the Glory of God and carry it with them wherever they went! Heaven would invade earth! During this time, I was writing my first book: “Abiding Under The Shadow”, that many of you a familiar with. The Lord gave me the book to write and with it said, “I’m giving you 36 nations as your inheritance. You will see revival in all these nations.” We have received the first part of this promised word, so now, we are pressing forward by faith to continue to believe God and be obedient to what He has asked us to do and see the second phase be fulfilled. We also know that it is to extend over into Europe and finally Israel! people wanting to hear the truth and the word of the Lord for this hour! The USA is in desperate need of an awakening of its own! We believe this is her time! She needs to be shaken from her slumber! We are agreeing with many prophetic voices that there is a 3rd Great Awakening coming to the earth on a global scale, and we are just one part. But we want to do the Father’s will and make a difference in this world. God uses people. He has no other plans. We must do this together to cause our light to shine even brighter in the days ahead! We know we can’t do this alone, but we can do it together as an army of ONE, as the Lord leads the way! “Do not despise the day of small beginnings”, we have been hearing for years. It’s time to expand! This is an invitation and an opportunity to ask you to consider making an investment into the Kingdom of God on a regular basis and come on board with us to partner together in this work to transform lives and nations- including our very own USA- to call her back to the heart of the Father! We believe right now she hangs in the balance and if God’s people will respond in faith and repentance- not fear- she can be turned around; but the time is late. It is time to act now and move forward-- advance-- not retreat! The kingdom of God suffers violence and the violent take it by force! (Mat. 11:12). We, the church, must be on the offense-- not defense! Please be in prayer and ask the Lord what he might have you pledge to this frontlines ministry on a monthly basis. Any recurring gift to help with postage you can receive our monthly newsletter “THE SURGE” that will contain updates from revival around the country, testimonies, praise reports, and a short devotional word from the Lord. While $10 a month or more will bring you to a Covenant Partner Level and get full access to our Partners Page where you won't miss an event! We want to sow as much as we can into your life with fresh bread and fresh wine of the Holy Spirit to help keep you strong spiritually and to equip you for your works of service in the Kingdom of God. We want to be in a lifetime relationship with you, sharing our ministry, audios, videos, website ministry, pictures, travels, ups and downs, and vice versa. We want to hear from you as well. Share with us your lives so we can be in prayer for you and rejoice with you when God answers prayer, or does something wonderful in your life. So, please submit your prayer requests to us at our website: www.tidalwavemin.com as we pray for you every week! Then post your praise reports as well so our ministry family can rejoice with you in what God has done for you. Also, connect with us on Facebook and Twitter! What can God do with one person that is sold out for him? Elijah sparked a national revival, all in just one day! Everything can change in just one day! What can God do in your situation? It can change overnight! Keep believing God for your promise to come to pass. You have come too far to give up now! He is faithful to complete the work that he has begun! He is faithful! He is faithful! Keep moving forward by faith! Waves only move forward! Never backward! They are in constant motion… always! Don’t camp out where you are now. Keep moving! Our faith walk in life comes down to a moment by moment, second by second, life being lived, totally lead and directed by His Holy Spirit. Having a relationship with Him so close, you are conscious of Him around you and in you 24/7 and simply “riding the wave” of His Spirit and go where he wants you to go—move where he wants you to move—all of us “surfing” with unique styles, and in many different ways, but the Holy Spirit being the force that propels us forward into His plans and purposes for our lives. of heaven was coming down into the earth realm all while he was lying down. He was in a posture of rest. 30 churches @ $100/ month to support us as homeland missionaries. Will you consider making a faith pledge as the Lord leads? The fields are white unto harvest, but the laborers are few. Please take a moment to seriously pray over this letter, and ask the Lord if you are one that can come on board as a Covenant Partner with Tidal Wave Min. Int., Inc. Even just a small gift of $5, $10, or $20/ mon. will help us work together in this field and see nations transformed by the living God. Some can give more than $30… maybe $50, $100, $250, or even $1,000. God knows who it is that can help. We are simply giving you a fertile place to sow your seed, so that God can bring the blessing and increase into your life. When we invest into the kingdom of God, we are making a deposit into the Bank of God where it draws interest to our personal account, all the while, growing for us pending a future withdrawal! Where are you investing today? Where are you planting your seed? 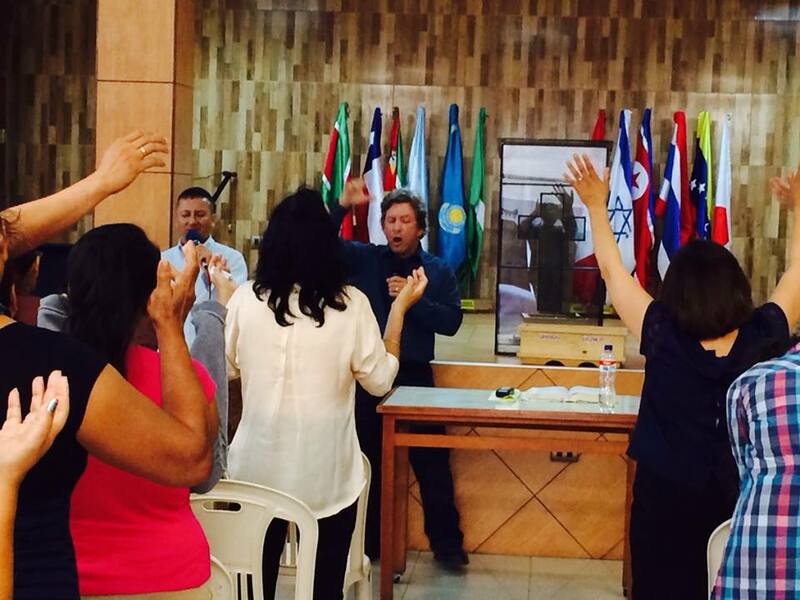 The Nations of the earth are crying out for the Living Word and a fresh outpouring of God’s Spirit upon them! Whom shall I send, and who will go for me? Here I am. Send Me! As you help send us, it is as if you are going right along with us! The fruit produced in this ministry field is yours to enjoy as well! We are in it together and can rejoice together as the harvest comes in! Please prayerfully consider sending us to the nations and helping us to spark revival fires all across the USA in all 50 states. Thank you in advance for your consideration. We are a 501-c3 nonprofit ministry where every gift is tax deductible. We are looking forward to partnering with you and working together in this harvest field in the days and years to come! There is nothing like serving the Lord and seeing lives transformed by His mighty power! Forward this letter to your pastors—we would love to come to your church, minister to your fellowship, and share about all that God is doing. Also, please pray for us as we continue to move forward in fulfilling our part of the Great Commission!